5. 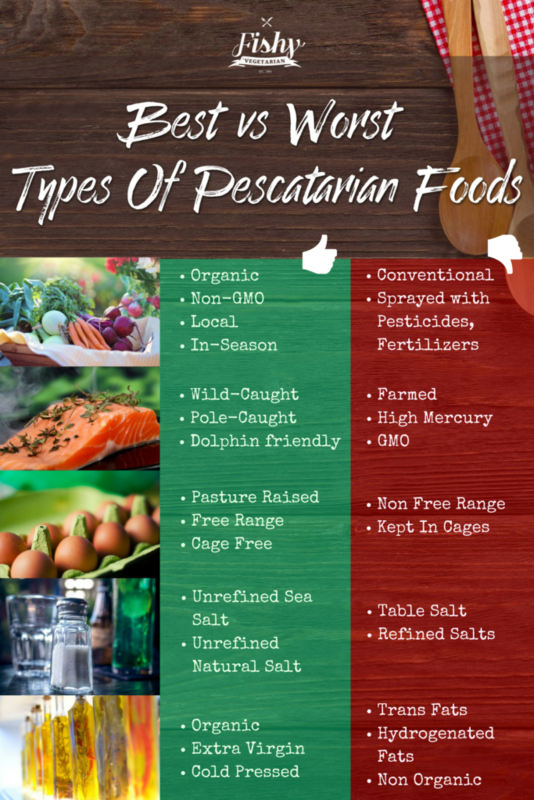 What are the benefits of the pescatarian lifestyle? 6. What are the downfalls of being pescatarian? When we started our pescatarian journey at the end of 2014, we found tons of information on other more “popular” diets like the vegetarian, paleo, and vegan diets. We even learned quite a bit from what we like to refer to as the pescatarian diets’ “sister” – the Mediterranean diet. But, there was nothing specific to being a pescatarian. Fortunately for you, this lack of readily available information resulted in us creating this resource for you. Since the pescatarian diet is fairly unexplored on the internet, I’ve based this guide on our experience thus far and what’s worked/not worked for us. 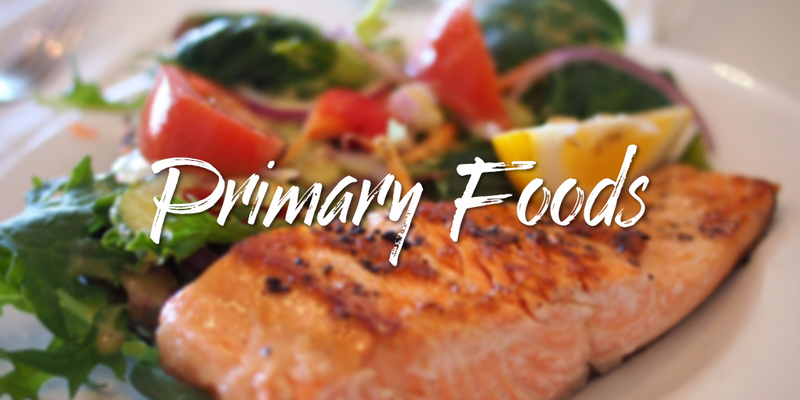 Although Tamryn (co-owner of Fishy Vegetarian) is a Registered Holistic Nutritionist, this guide, and our other guides are for informative reasons and is not to be used to prevent, diagnose, or treat any disease or illness. Posts are not to be used as an alternative to a medical doctor. Please use only for informational purposes, and always do your own research. All articles are based on our three pillar holistic lifestyle approach: Body-Mind-Spirit. Heads up: with over 4000 words in this guide, you may want to save yourself some time and *click here* to grab our “to-go” version instead. According to Dictionary.com, a pescatarian (noun) is “a person whose diet is mostly vegetarian but includes fish and seafood. To be considered a pescatarian, the only types of foods you can’t eat are red meat and poultry. If you’re choosing to follow a pescatarian diet, you’re also choosing to live a healthier life. Because of this, unhealthy, processed foods should also be avoided at all costs. Below you’ll find our complete Pescetarian Diet Food Index (click to get our full Pescetarian Starter Guide) which breaks down which foods you can eat, which foods you can’t eat, and which foods we recommend you shouldn’t eat. 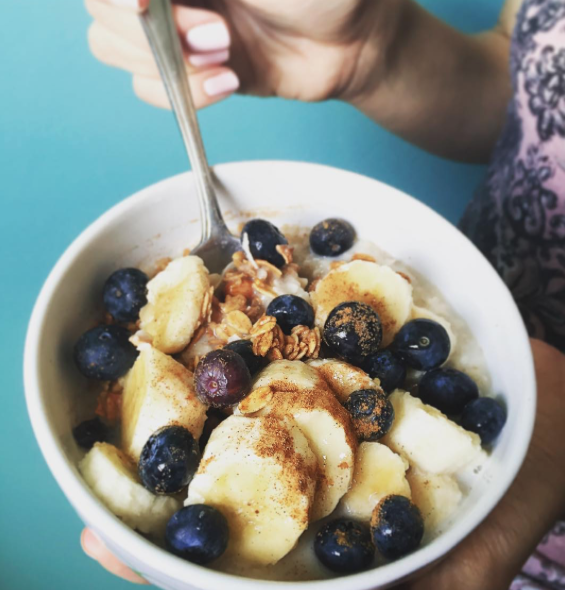 For breakfast, our current staples are a hearty bowl of oatmeal (Tamryn’s choice) and a cup of Bulletproof coffee (LJ’s choice). 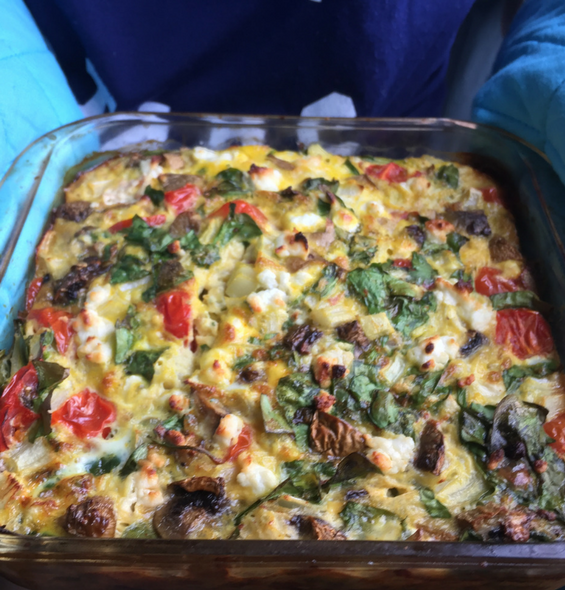 When we’re feeling a bit fancy, we might make a low-carb breakfast quiche. 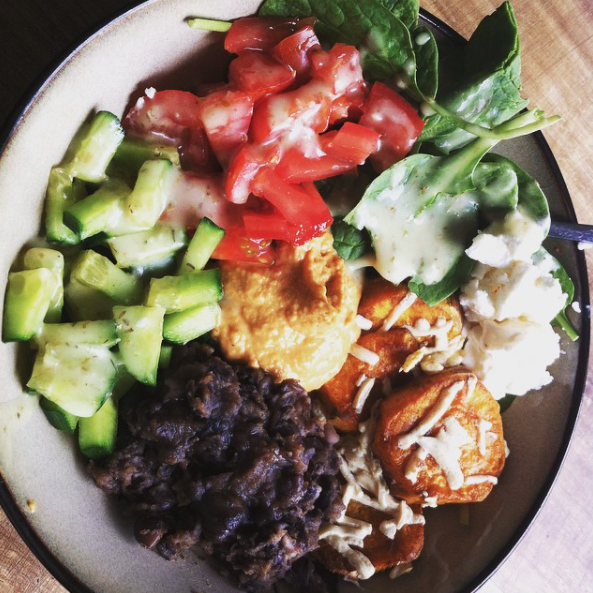 Our typical lunch usually involves a good amount of greens, beans, and fats…healthy fats of course (like avocado)! Sweet potato usually makes a starring feature in our lunches as well. For dinners we like to keep it light since this is the last meal of the day. Lately our go-to has been a quick veggie stir fry which we’ll add some fish to on our fishy days. Other favorites of ours are stuffed vegetables which not only are a breeze to make, they’re also very flavorful and basically full-proof! Keep in mind: Being a pescatarian doesn’t mean you have to eat fish everyday! All fish and seafood can be eaten on a pescatarian diet, however it is important to remember that some fish are much higher in mercury than others. The fish and seafood with the lowest mercury levels and, which can be eaten on a regular basis are as follows. We’ve starred our favourites, which also happen to be some of the healthiest fish you can eat on a regular basis. When buying fish and seafood, you should also be mindful and rather purchase wild caught instead of farmed. Vegetables are a huge part of a pescatarian diet. Any vegetables are allowed, but we place special emphasis on anything green due to its high chlorophyll content, which can protect you against heart disease and cancer. Certain vegetables are also higher in iron, which is important to consume on a pescatarian eating plan. Iron obtained from plants is called non-heme or plant iron and is safer than iron obtained from meat (heme-iron). Iron from plant sources can be eaten in unlimited amounts as the body will simply excrete the excess. Yes, the sugar in fruit is natural sugar, but if you are insulin resistant or overweight, it can still affect you negatively. Once you reach your goal weight or if you don’t have insulin issues then you can eat high sugar fruits more often. Nuts are a wonderful addition to a primarily plant-based diet and provide you with a wide range of heart friendly, disease-fighting minerals and vitamins. Nuts also provide you with healthy fatty acids, which are very important for your health and they are a great snack to curb your appetite before your next meal. The following nuts are highest in iron and also the best for you in terms of nutritional benefits. Be sure to buy nuts that are salt free and contain only one ingredient…NUTS! Oils are a great source of fat and while the word ‘fat’ may make you to want to run away, there are many fats that are very good for you. We have been raised to believe that a low-fat diet is the way to go, but in fact it’s rather about knowing how to choose the right fats. Monounsaturated, polyunsaturated, and saturated fats are fantastic for heart health and may in fact lower your risk of heart attack and stroke. The following are great oils for cooking since they are low in polyunsaturated fats and have a higher smoke point than many other oils. This means that these oils can reach very high temperatures before starting to smoke. Beans are one of our favourite parts of the pescatarian diet, because there’s just so much you can do with them! You can process them in your food processor and whip up some delicious burgers, you can use them to make a vegetarian chilli, heck you can even make black bean brownies or chickpea blondies for a delicious guilt-free dessert! Not to mention the fact that beans are jam-packed with minerals and fiber to help fill you up and provide your body with tons of nutrition. Whole grains are an important part of any meat-free diet, but be careful if you are gluten intolerant or have IBS. There are many gluten-free grains that you can substitute should you have any issues. Mercury is damaging to our bodies and the best way to avoid it is to avoid the fish that contain the highest traces. A good rule of thumb is: the bigger the fish, the higher the mercury content. The fish listed with a star next to them are also endangered and should be left alone to reproduce and do their thing in the ocean. Refined sugar poses absolutely no benefits for our health as it has undergone a process that completely stripped it of all vitamins and minerals and is regarded as a toxic poison by the body, no joke! Honey, agave and other so-called “healthy substitutes” should also be limited since our body still regards it as regular sugar. Fruits are packed with antioxidants and can protect you from a whole array of diseases. Some fruits, however, are very high in sugar and should be eaten in smaller quantities. Too much sugar from fruits can still affect your insulin levels and if you are diabetic or overweight you should avoid or at least limit the fruits that are higher in sugar. 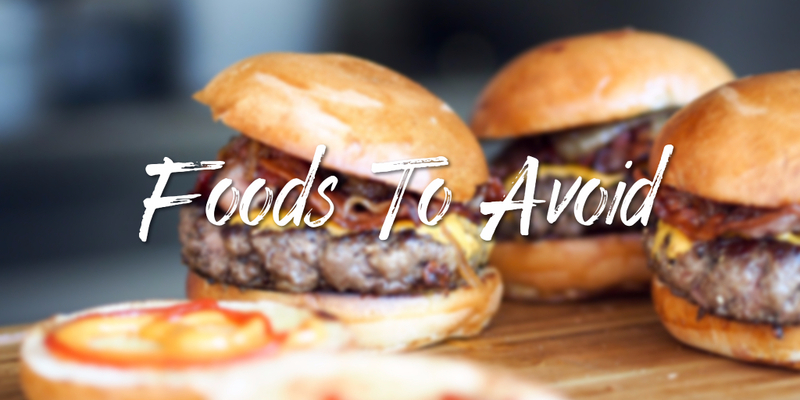 Processed foods are packed with chemicals, preservatives and random ingredients we can’t even pronounce. Just remember, if you can’t pronounce it, don’t eat it! Ever! Basically, anything in a box with a crazy list of ingredients is a big NO-NO! Soft drinks are loaded with sugar, high fructose corn syrup, preservatives, caffeine and possibly other ingredients you have never even heard of. The massive amounts of sugar can lead to tooth decay, diabetes and possibly even cancer. For this reason we do not recommend soft drinks at all. If you crave a sweet drink opt for 100% pure fruit juice instead, but make sure to limit it to one small glass a day due to sugar content. Tip: Be careful of “health drinks” like Vitamin Water which are loaded with added sugars. Just like vegetarians, there are different kinds of pescatarians. Some eat eggs and dairy and gluten, some don’t. Some eat just eggs, some just dairy, you get the idea. Some people have allergies to eggs, dairy, or gluten and have to cut them out. But even if you don’t, we recommend removing the processed (mostly grocery store bought) versions from your daily meal plan, and rather opting for free run and antibiotic free eggs, as well as rather opting for hormone free dairy. Hormones from cows milk can cause disruptions in our bodies which have been known to be the cause of conditions like acne, painful periods, and thyroid disorders amongst other health concerns. If you grew up on dairy, it can be super hard to even think of giving it up! 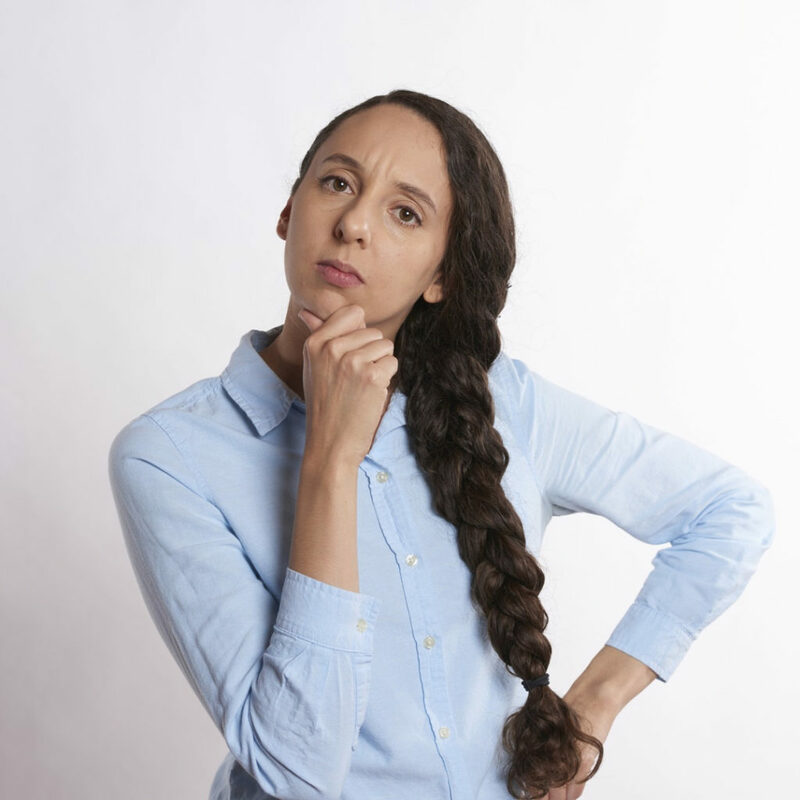 Speaking from experience…cheese (mmm) was the hardest to part with, but, you know…after a while of eating whole foods, the cravings tend to subside naturally. With the huge range of delicious dairy alternatives like almond milk, cashew milk and coconut milk though, going dairy free will be easier than you think! And there are also a few awesome dairy free companies producing vegan cheeses like Daiya – this is our favourite. When it comes to butter, if you find you just can’t live without it, try giving Ghee a go instead! Whether you have an obvious gluten allergy with symptoms such as gas, bloating and pain immediately after ingestion or not, gluten is something we recommend you consider cutting out of your diet, although it’s completely up to you. It’s always best to listen to your body and be weary of the manufacturing process your wheat goes through. Try a gluten detox for a week and you won’t believe the nasty withdrawal symptoms, from severe fatigue to nausea. This happens to most people, allergic or not, simply proving that gluten is in fact an addictive protein that causes withdrawal when it is expelled from our bodies. Ever felt withdrawal when you haven’t eaten spinach for a few days? Probably not! These days, gluten is very hard for us mere mortals to digest given that it’s become so highly processed. Overindulging can result in all sorts of problems. If you don’t want to cut it out completely, that’s okay! Just consider cutting back as much as possible, or, you can always make your own breads and wheat products and be confident in the ingredients you used. Soy is a popular dairy and protein substitute, but it’s one we tend to stay away from, especially since most soy products are heavily processed and non-fermented. Here’s how to tell if you’re eating processed soy. What many women don’t realize is that when soy is ingested, your body regards it as the estrogen hormone. The reason why is because soy is high in phytoestrogens, which may mimic this estrogen. It’s important to notice the difference between fermented and non-fermented soy, since fermented soy like Miso and tamari are actually really good for your body and can actually help to fight off cancer cells. In small amounts soy is okay, but in large amounts it can increase the risk for estrogen dependent cancers, including breast cancer. Soy is still being studied for its possible link to female cancers, but we’d rather not take the risk. There are many soy substitutes, such as almond or coconut milk, or pea and hemp protein instead of soy protein in foods such as veggie burgers. 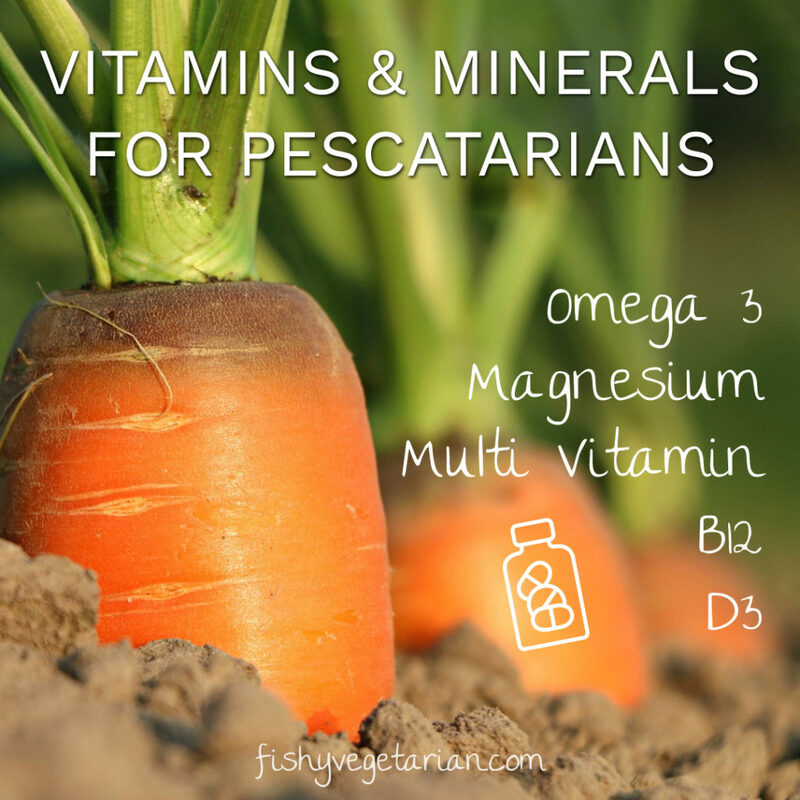 What are the additional dietary considerations for pescatarians? To help you navigate your supermarket or grocery store, here are a few considerations to keep in mind. Did you know those seemingly random numbers on your fruits and veggies tell quite the tale? Next time you’re out grocery shopping, take a closer look. 5 digit codes starting with the number 8 means it was grown with GMOs. 4 digit codes starting with either 3 or 4 were grown conventionally. 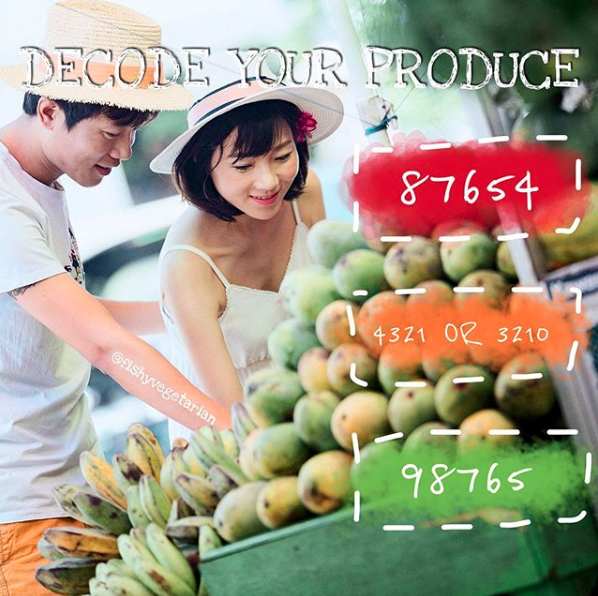 5 digit codes starting with 9 were grown organically. 👩🏽‍🌾👨🏻‍🌾 We do our best to support organic and local farmers. Omega-3: As a pescatarian you’ll already be getting in more Omega-3 than most people who don’t eat fish. You can also up your intake with flaxseed which can be added to smoothies. 2 Tablespoons is a serving size and equals 2000mg of Omega-3. Aim for anywhere between 1000mg and 4000mg of omega-3 a day. Omega 3 fatty acids are great for improving heart health, as it lowers the amount of fat in your blood (triglycerides – which can contribute to heart disease). Magnesium: Most people do not get enough Magnesium and this mineral is essential for cardiovascular and nervous system health. Try taking at least 200mg a day, in the morning after breakfast. An additional 200mg can be taken before bed to help you fall asleep. Take an hour before you turn off the light. B12: It is important for vegetarians and pescetarians to supplement with B12 as they are not getting this essential vitamin through poultry or meat. This vitamin is important for many reasons, most importantly to help formation of red blood cells which transport oxygen through the body. A lack of red blood cells can lead to iron deficiency. To get the most out of your B12 supplement, go for a chewable version in the bioavailable “methylcobalamin” over the synthetically made “cyanocobalamin” form of B12. 1000mg – 2000mg of sea-veggie based is sufficient. Multi-Vitamin: Start taking a good multi-vitamin to ensure you are receiving all necessary vitamins and minerals. Some sources are derived from animal sources, so if you want to avoid this, check the label. Vitamin D3: Known as the sunshine vitamin, Vitamin D is essential for everyone, not just pescatarians to take daily. Just 2000 – 4000 IU of D3 per day is enough to help keep your blood pressure and blood glucose levels under control. A good Vitamin D also supports mental health. 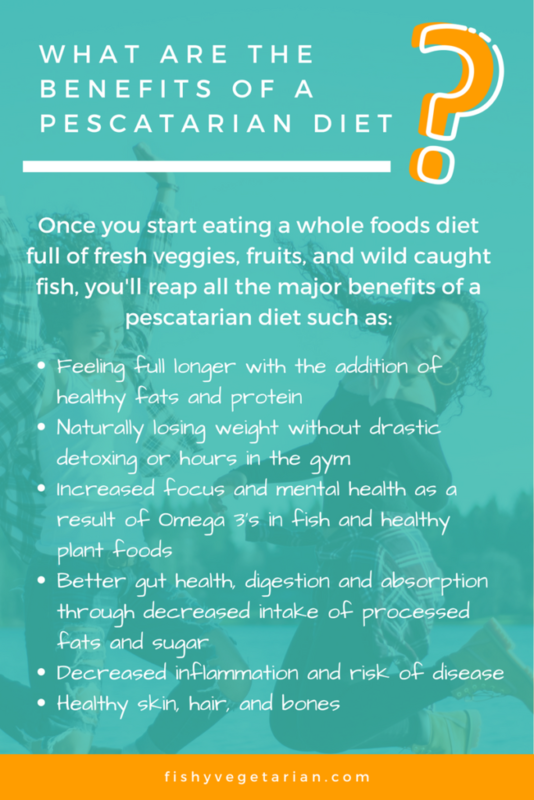 The main focus of a healthy pescatarian diet is eliminating junk foods, sugar, and simple carbohydrates so you can start to feel more energized. This means filling your plate with loads of plants and veggies, with fish as a healthy protein option. By eating this way and filling your body with the nutrients, vitamins and minerals it needs, you can avoid many of the health problems people face in modern society today. 🧡 If you have Twitter, will you help us share the benefits of the pescatarian lifestyle by sending this tweet out into the universe🧡? What are the common critiques about being pescatarian? In all fairness, if we’re going to tell you how the pescatarian diet benefits you, it’s only right we open up the floor to the common critiques we’ve received. There aren’t nearly as many disadvantages as advantages, but here they are! All fish contains mercury, a natural substance that is converted into a harmful toxin called methylmercury when ingested and processed by fish. In small amounts, mercury should pose no problem, but in high amounts it can have serious effects on the nervous system, as well as cause developmental delays when infants are exposed to mercury in the womb. Don’t let this put you off the pescatarian lifestyle though! Certain fish including salmon and sardines, can be eaten as often as you’d like without concern. Fish high in mercury such as albacore, king mackerel, halibut, and swordfish won’t pose any significant health risks as long as they are only eaten in small amounts and no more than 1-3 times a month. Do your homework, learn about your new lifestyle, and mercury won’t be an issue for you. If you’re still unsure, consult with a nutritionist. Many critiques point out that eating fish and seafood is damaging to sea life. We certainly agree that commercial fishing has gotten out of hand and the amount of by catch is not acceptable. This is why we only promote buying and eating wild and sustainably caught fish. As a pescatarian, your source of protein is not only limited to fish of course. There are many plant based proteins available to you such as those from nuts, seeds, and eggs. It’s also important to note that the biggest contributor to depleting sea life is actually human carbon pollution. In fact, 40% of the carbon dioxide waste we produce from heating in our homes, and driving our cars all contribute to damaging sea life. One of the biggest disadvantages of being a pescatarian is that it can get quite expensive if you’re not familiar with buying fish. However, considering that you should only be eating 12oz a week, your grocery bill shouldn’t run too high. While a fillet of wild-caught salmon can go for $5 or more, there are a variety of other cheaper options too. A can of sardines or tuna are only around $2.99 (the good cans!) and a can of salmon shouldn’t cost you more than about $5. If using it to make patties, it can give you up to 4 portions! That’s 4 filling, healthy fish meals for just $1.25 a plate, not too shabby! Limit the pricier fish to once a week or once every 2 weeks, and fill up on other proteins in between, such as beans and eggs. We usually make a Costco run for the best deals on fresh fish, and find the best deals for canned fish on Amazon. 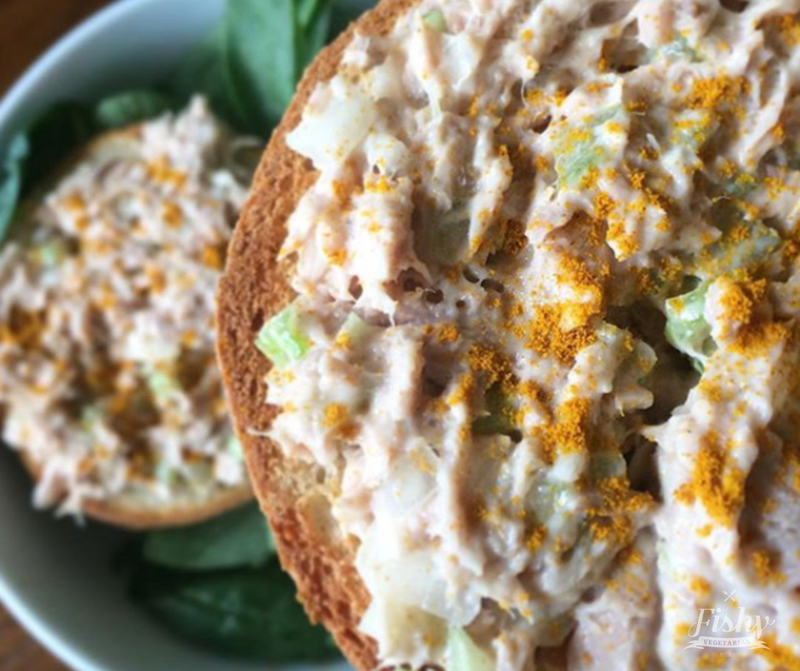 Visit our Amazon recommendations page to see which canned fish we typically order, along with a other foods we usually stock up on. At the end of the day, it’s all up for opinion. There is no one diet that is perfect for 100% of the population on earth. There are success stories from people following a paleo diet, vegetarian diet, and even more controversially – a fruitarian diet! The pescatarian diet we follow is based simply on eating real, whole foods and avoiding processed, junk foods. We’ve always been on the side of listening to your own body and fuelling it with satisfying, energy boosting foods so you can live the healthiest life possible. This can take practice, but eating lots of plants, filling healthy fats, and limiting carbs is a step in the right direction. 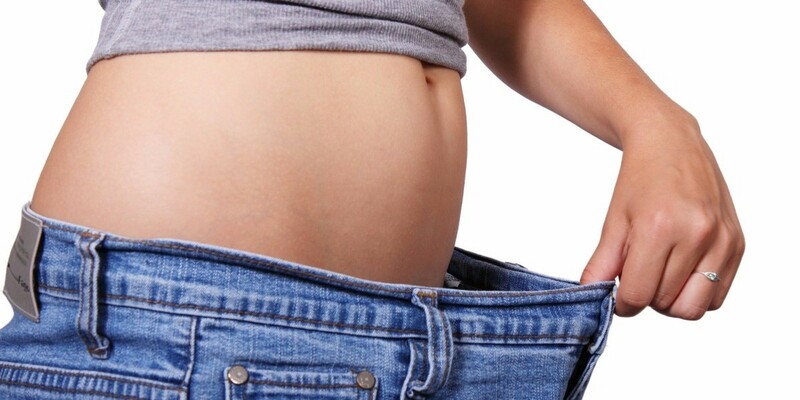 How does the Pescatarian Diet help you lose weight? It’s no secret that people who follow a healthy diet, full of fresh fruits, vegetables and lean proteins from fish, will be able to better manage their weight. It’s good practice to learn how to measure your BMI, as well as your ideal calorie intake per day, according to your lifestyle. Exercise is one of the best things you can do for your health, as well as to maintain a healthy weight. Working out gets your blood flowing and increases your metabolism, helping your body to burn fat all day. Aim for at least 30 minutes of low impact exercise a day, at least 2-3 times a week, such as a walk. Try and squeeze in at least 30 minutes of HIIT Interval training at least 2-3 times a week in addition to your low impact exercises. Burst training is absolutely excellent if you are looking to burn fat fast. 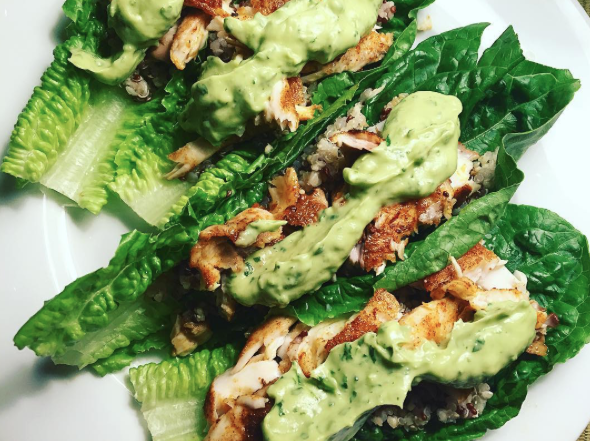 Fully commit that you won’t eat poultry and red meat. Start slow if you have to and go meatless during the week for the first week. Follow our 10 Steps to eating less meat and becoming a pescatarian as a starting point. Get an accountability buddy who will encourage you to stay the course, or even join you in becoming a pescetarian. Can’t find one at home? Join 100’s of people just like you in our Pescatarian Lifestyle Facebook Community. We’ll be happy to be your accountability buddy! 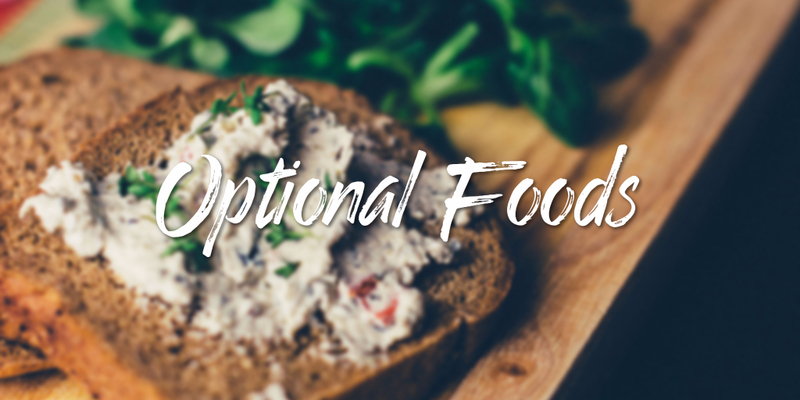 Start experimenting in the kitchen with new foods, you can find pescatarian recipes here to start with. I’m excited for you to get started on your pescatarian journey. By following these 7 guidelines I’ve laid out for you, you’ll be setting yourself up for success, for sure. Remember, take it slow, listen to your body, and never do anything drastic or under stress when it comes to your health. Have you experienced any breakthroughs or concerns you’d like to share? Leave a comment below, I’ll check regularly. Talk soon again, and goodluck! 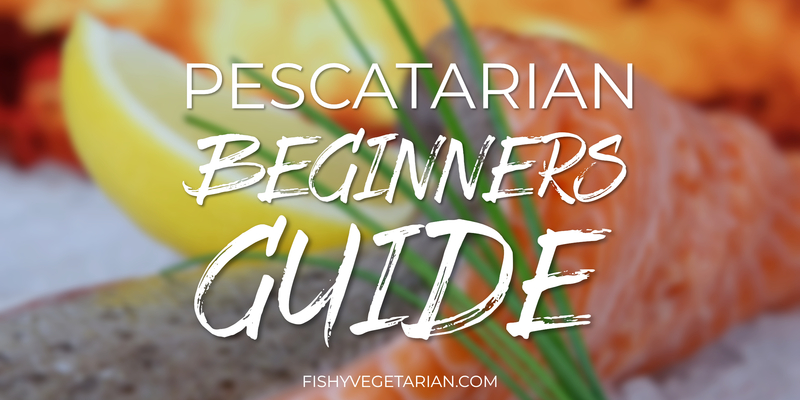 Are You New To The Pescetarian Diet? 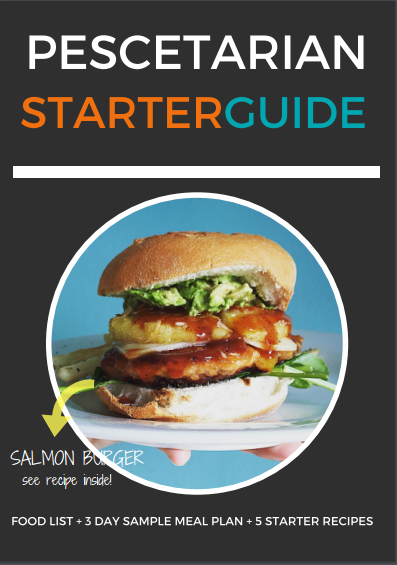 Where should we send your Pescetarian Starter Guide?